Initially I started running to help me loose weight. 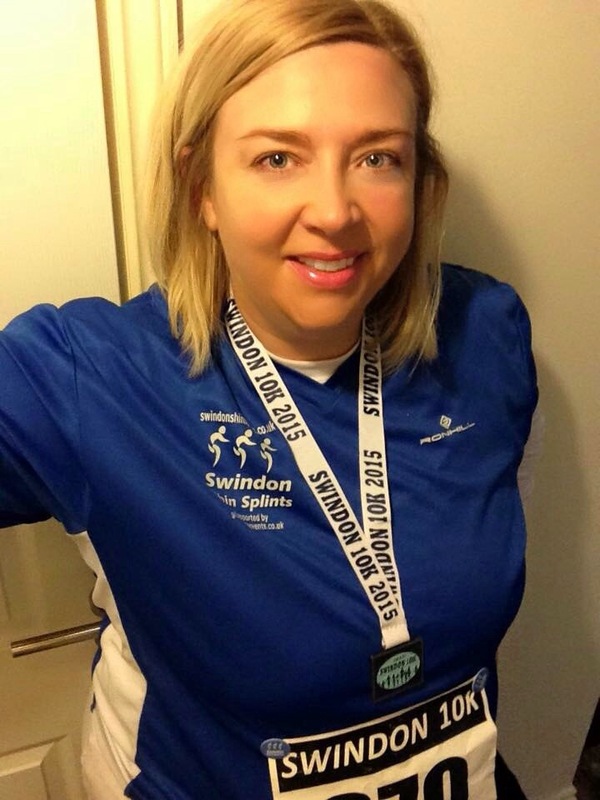 I had tried running on my own many times but never seemed to make it far without stopping and starting, so in the summer of 2015 i decided to try a free local beginners running course with Swindon Shin Splints. Little did i know the positive impact this decision would have on my life. On the first day I felt very self-conscious and skeptical but the coaches and helpers were so encouraging and inclusive. During the 10 week program i found myself getting stronger and fitter and went from couch to 5k. The feeling I got from this achievement was addictive and I wanted to see just what else I might be capable of. During the following months a group of us from the course continued to run together and started to develop a special bond. The group is a mix of women of all shapes, sizes and ages and oh one token male! I was never a fan of exercise at school especially running! How my life has changed. I used to be a fair weather runner but I have now run events in wind and rain and it is actually not that bad. 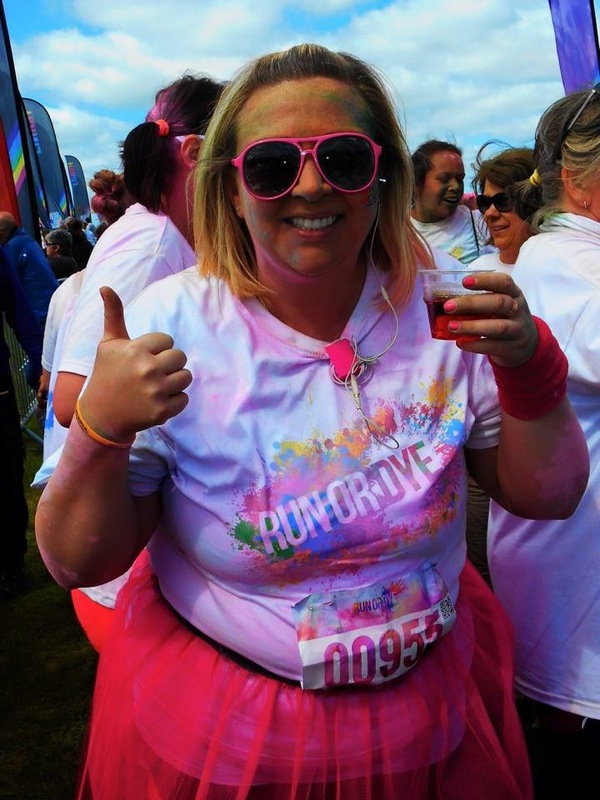 I used to avoid puddles but I have done some muddy runs such as race for life’s pretty muddy and I thoroughly enjoyed getting down and dirty. I have learnt there is no such thing as bad weather just inappropriate clothing. Running has given me many things but the greatest gift has been the people that it has brought into my life. I have a whole new set of friends who have become like family. For me running is more than just exercise but has become a way of life, it makes me feel alive and strong. As a curvy woman, running has increased my confidence and i am learning to love my body more, because the further distances i run, it is proving to me my body is capable of more than i ever thought possible. That feeling is worth more than any loss of pounds on a scale. I tend to run 3 times a week. On top of this I also do a clubbercise class (aerobics to club music with glow sticks in a darkened room!) or some kettlebells to mix things up! What kind of distances do you run in training? I tend to average 4 – 5 miles per session but was upping this to 8-10 miles in preparation for the half marathon. It is funny how a year ago 5k seemed impossible but now anything less than 4 miles is a ‘short’ run, oh how times have changed. 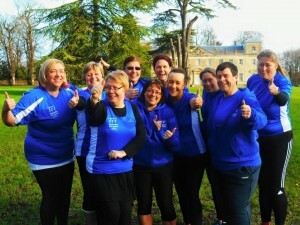 I have never done the Swindon park run, mainly as it is the same day as my running group. However I do keep thinking I should give it a go. Free group exercise is a fantastic idea to get the community getting fit together and the government needs to continually invest in this. We know you recently took part in a Half Marathon, could you tell us about your experiences with training, motivation etc. I completed the Swansea half marathon on 26th June 2016. This marked a year from when I first started out on my running journey. I entered the half marathon six months prior to the event and wanted to take it seriously. So I started a training diary documenting my weekly mileage goals and booked in runs like appointments that way I would have the time dedicated. I planned my longer runs with routes where I would run to a friend or family members house, have a drink, some jelly babies and then run back home. I noted things which made a run good or bad, such as I know my better runs are in the morning and I need to allocate sufficient time to warm up my ankles before I run. I stopped focusing on dieting and instead started eating to fuel my body effectively with foods that would keep energy levels up. One of the best pieces of advice I followed was to increase mileage slowly, that way your body has time to adjust and recover and you are less likely to injure yourself. 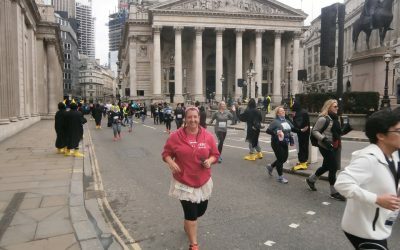 I decided to run for charity, this helped my motivation as everyone knew I was doing the half and so I couldn’t let down those that had donated money. I chose the Motor Neurone Disease Association as my dad died from this disease. I also chose to dedicate each mile of the half to someone special to me who has died or who is currently fighting an illness. I had each name printed on the back of my t-shirt. At mile 8 my foot started hurting but I kept thinking of everyone I was dedicating the miles to and reminded myself, my pain was temporary; it was nothing compared to what people with life limiting illness go through. Some people who are physically unable would give anything to be able to run. So even if it hurts sometimes or is hard going, while my body allows me I will keep on running. One negative experience I had was during a 10k running event earlier this year. A group of young men obviously thought a plus size woman running was a hysterical sight and made no qualms about letting me know that. These types of experiences could stop any women from ever wanting to run again. It made me angry, how would they feel if their mum or sister was treated like that. It is abuse, full stop and should not be tolerated; I may have said something at the time that can not be repeated. However often negative comments come from people sat doing sod all and it says more about how sad their lives are if they feel the need to comment on someone trying to better themselves. They are insignificant people and they inspire no one. I have to say other runners and the running community in general are fantastically supportive and encouraging of each other. Even the most accomplished runner will find the time to say ‘well done, keep going’ or give you a high-five. The best way to deal with negative experiences is to share it with others. The positive support I had from sharing my experience was overwhelming. It helped me see these negative people are the minority and actually quite pathetic. Conversely I have had so many people including strangers tell me what an inspiration I am to them, and these encouraging moments outshine any negatives. 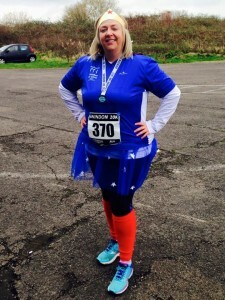 What are your biggest fears/concerns/hangups about being a plus sized runner? My biggest hangup is about my speed, as I am a slow runner. I worry I will be judged and people will assume that it is because I am overweight. However I like to think I am getting the most out of my entry fees and often the biggest cheers at races are for those near the back, we might be slow but we have the stamina to run for longer and not give up. So yes we deserve a rapturous reception. I would love to be quicker but I have a long standing ankle injury whereby pain increases the faster I run. If I am honest the ultimate goal would be a full marathon, I do not know if my body would be up to that, BUT… I would love to find out. In the meantime I plan to do more half marathons. I like to focus on distance. I feel my increased distance of running has gained me respect from other runners, family and friends. 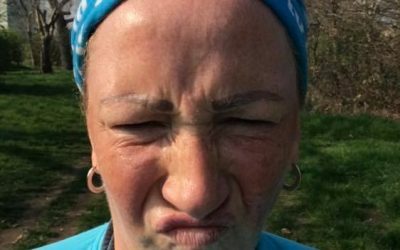 Once my mileage started going into 7-8 miles I think people realized how serious I was about this running lark and actually how determined I was. 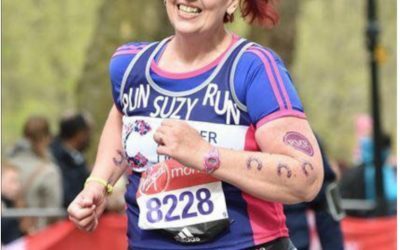 I think the key is about being inclusive and empowering, I think campaigns like ‘this girl can’ and ‘the fat girls guide to running’ are fantastic. The concerns of many about running groups is often ‘will people judge me’, and ‘will I stand out’. Tailoring groups that actively encourage overweight people, keeping it light hearted and using a socialising element would help people feel more at ease. 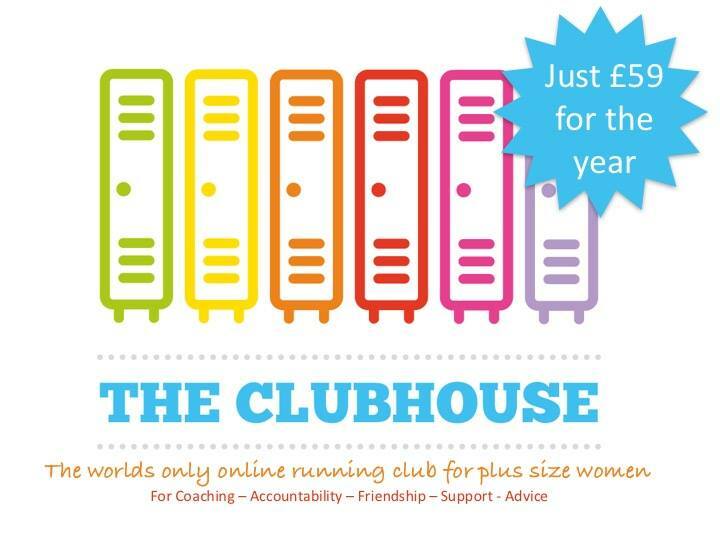 Often groups are run by slender athletic types, but how great would it be to have access to groups run by people that are plus size. Some would argue that it sets an unhealthy example, but overweight does not equal inactive, likewise skinny does not equal fit. 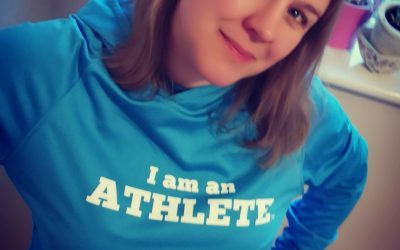 Plus size ambassadors and coaches can be role models to other overweight women to aspire to regular activity and fitness levels rather than societies perception of size and fitness. Having someone who understands the challenges of exercising and being overweight would be much more empowering for plus size women. One of the most basic things is getting decent fitting, quality sportswear that is not just black or baggy. I do think this is improving and many mainstream companies are now doing plus size sportswear. I love wearing bright coloured clothes – why shouldn’t I. That’s why I organized a ‘bright and beautiful’ theme as part of June’s ‘one big fat run’. Plus size women should not feel they need to hide away in black baggy clothing. Take your time, if you are serious about getting fit it will not come overnight but stick with it. 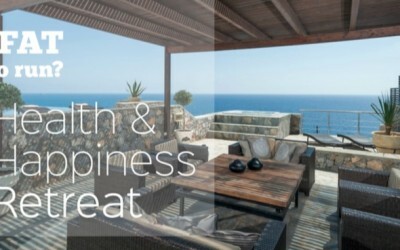 Set small realistic goals and make it fun! 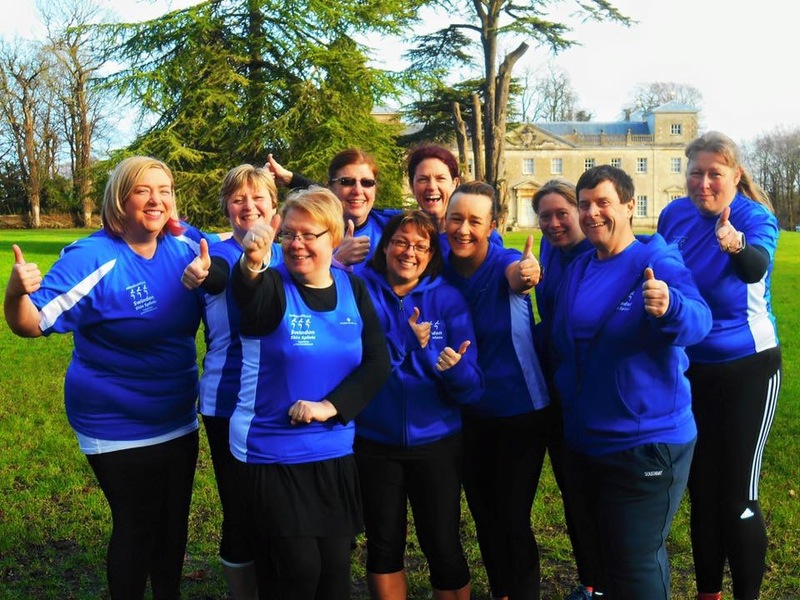 Run with a friend, join a local beginners running group. Personally when I am not running with others I like to run alone with music, well I say alone but Beyonce or Rhianna often accompany me. 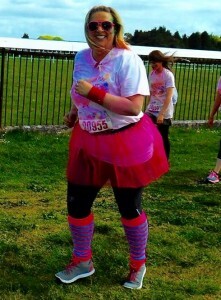 It is amazing what a bit of girl power music can do to make you run with attitude!!! I can honestly say running gives me confidence in my every day life. I know if I am determined enough and apply myself I am capable of incredible things. Completing the half marathon has been one of the hardest yet one of the best experiences of my life. I have learned to not be so hard on myself regarding my weight. My body may not look exactly how I would like it but after running the half marathon I realize just how amazing this body really is. I now have faith in myself, one of my mantras is ‘she believed she could, so she did’. I think having access to like minded people who understand the barriers and challenges of being a plus size runner is incredible. It is this support that will keep you running and pushing yourself further. To share in your concerns and but also share and bask in your achievements.